Yoni Kretzmer emerged as one of a new generation of innovative musicians playing free jazz in Tel Aviv in the first decade of our century. Since 2010, he has lived in New York City, where he has contributed his fresh ideas to the vibrant and expanding Brooklyn creative jazz renaissance. Kretzmer has established a number of groups, one of the most innovative and interesting being his Double Bass Quartet. In our present moment, with so many musicians attempting experiments into minimalism, microtones, and space, it is refreshing to hear a player with such a bold, decisive, if complex tone. Kretzmer’s vocabulary ranges from searing drive to subtle melancholy and receding mournful dives. He wastes little energy on frivolity. He is also immersed deeply in the tradition, referencing a wide-range of influences from the great tenor players of the 1960s to the energy music of the 1990s. And he manages to fuse these various strands into something largely new and exciting. One of the great strengths of Kretzmer’s artistic vision is the great range of emotional expression that he employs through his instrument. He can delicately construct a passage in one moment and heap fuel on the fire in the next, while making these transitions seamlessly. The players he selected for this group are among the best of their generation with their respective instruments. Sean Conly and Reuben Radding, well-established innovators and improvisers, show no sign of competing against one another. The two bassists find ways to weave their lines together, the beats or lines sometimes even travel from one bass to the other, as they communicate. Furthermore, they are able to add rare texture to the songs with bowed bass coupled with energized plucking: it is an intriguing experiment and one that suggests that we are only grazing the surface in its possibilities. Mike Pride is remarkably subtle in this album, while adding energy throughout his playing. 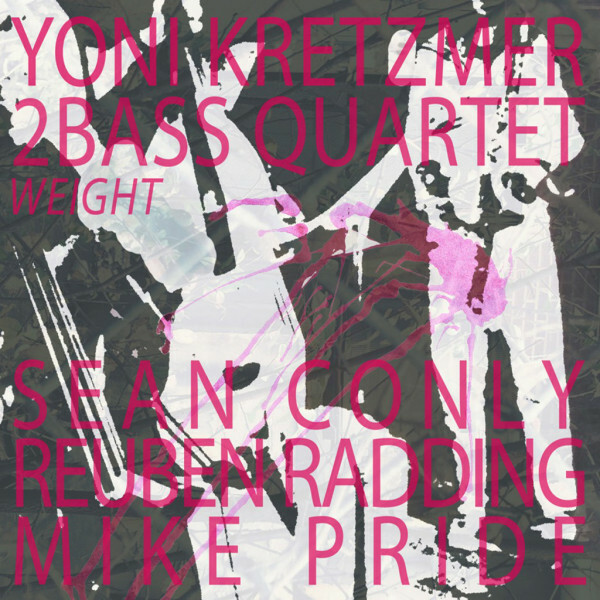 The three rhythm players each seems content to mix with the others in roughly equal amounts without overwhelming their counterparts, while together providing a complex matrix of textures and sound from which Kretzmer’s voice on tenor soars all the more. The album opens with Pride starting the fire with his cymbals–foreshadowing what is to come. Then Kretzmer bursts onto the track and drives forward burning and bold. On this track and throughout much of the album (and most successfully on “Again and Again”) Kretzmer finds ways to take what might appear as simple melodic structures and refashion them over and over again into different shapes and sizes. It is as if he has taken dozens of photographs of a scene from different perspectives: there is a resemblance as he plays with the one common kernel, but he twists, manipulates, and remakes it in ways that continually intrigue the listener. One experiences the comfort of becoming familiar with it, but also constant re-invigoration as new colors or textures are added, removed, and blended. Through this process, Kretzmer produces a sound that manages to be both melodic and abstract simultaneously. “Again and Again” is an extraordinary piece that also provides a great deal of emotional depth, opening with burning lines that ultimately recede into a contemplative mood. Both of the shorter pieces, “Smallone” and “Detail” provide a more tender perspective. This music brims over in energy of more than one kind. The basses add constant interaction and points of connectivity that elevate the overall feel and liberate it from what would have otherwise been a more sublime trio. Pride’s percussion adds bright points of light over the darker bass lines. From this mix, Kretzmer’s tenor burns with inner fire. “Again and Again” and “Number Three,” in many ways represent the climax of the album in terms of mood and energy. “A Bit of Peace” thus is a nice repose, if even it still contains volatile elements. The piece almost swings, at times, and offers a number of interesting stops and starts, as if admitting that the process of peace-building is anything but a straight road. Rather, it paints a picture of negotiation, compromise, even renewed hostility, along the way towards peace. We might recall that one of Kretzmer’s forerunners on tenor–Albert Ayler–once professed that music was the healing force of the universe. Kretzmer’s playing and composing here seem to have embodied that sentiment. The energy contained within these songs is even more evident in live concerts (such as the band’s inspired performance at Muchmore’s, 8 July 2013), so if you get the chance, venture out and see this group. This is music that can be felt as well as it can be heard–prime for the live experience.